(New York City, November 6th, 2018) Nick Borelli has been named a Top Event Management Influencer by Fit Small Business. Borelli provides outstanding event management advice and suggestions to his over 11,000 Instagram and over 7,700 Twitter followers. Nick Borelli is the president of Ohio, U.S.-based event advertising and marketing company Borelli Strategies. He is an Event Marketing Strategist with 20 years of experience in the industry. Borelli is also a consultant, speaker, and writer focused on topics related to live events, marketing, and trade show strategies. Fit Small Business – They do the research so small business owners don’t have to. 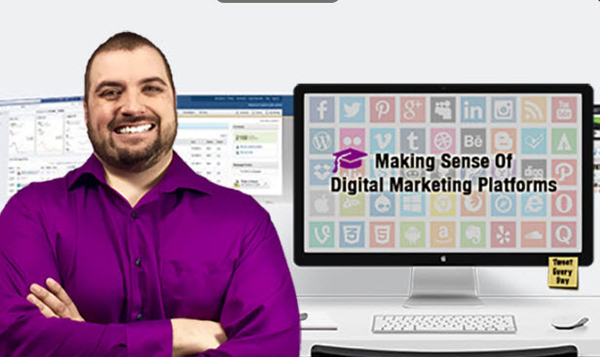 Get E-mail Alerts When Nick Borelli -- Event Industry Marketing, Sales & Networking Sends news releases.